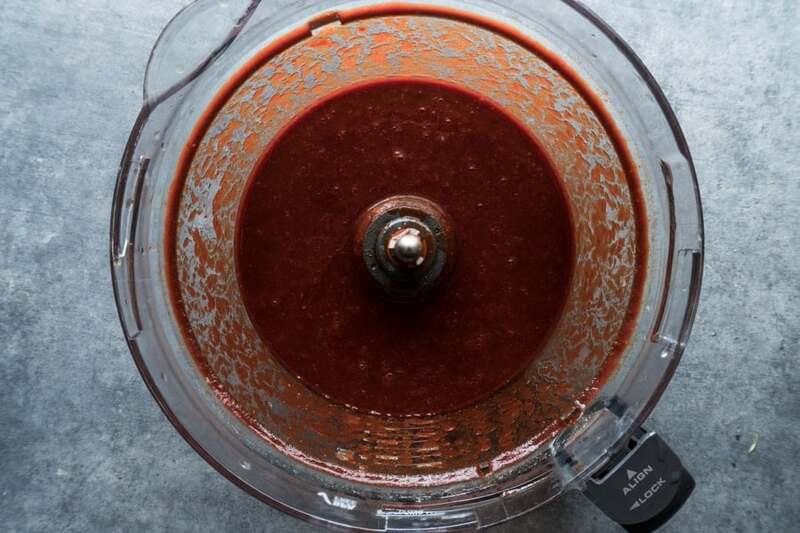 This red chile sauce is easy and delicious! The flavor is incredible and you won’t ever want anything else! Roast the chiles and garlic in a preheated oven for no more than 5 minutes! Remove the chiles and place in a blow filled with water. Leave the garlic on the pan and roast for another 10 minutes. Let the chiles soak for 30 minutes to rehydrated. After 30 minutes place chiles, garlic, seasoning, and 2 ½ cups of the soaking water in a food processor and process until smooth. Eat up or strain for an even smoother sauce! Give this red chile sauce a try and let me know how you like it! 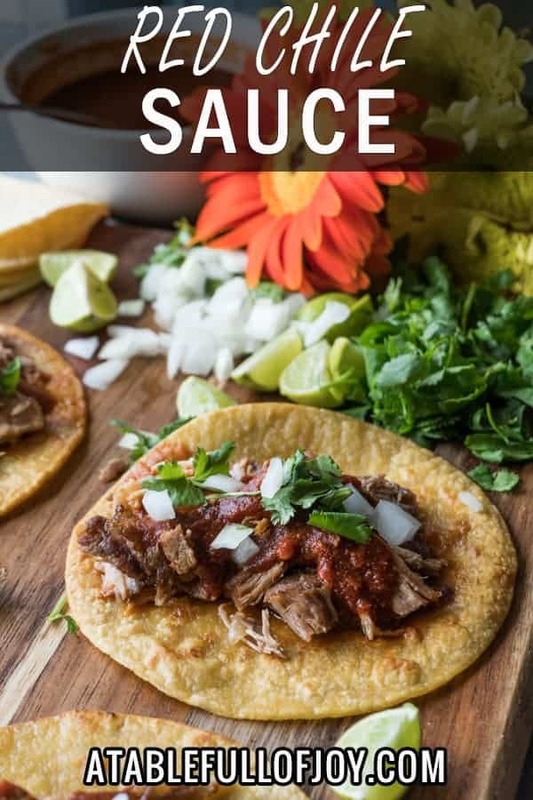 This sauce is perfect on my carnitas tacos! 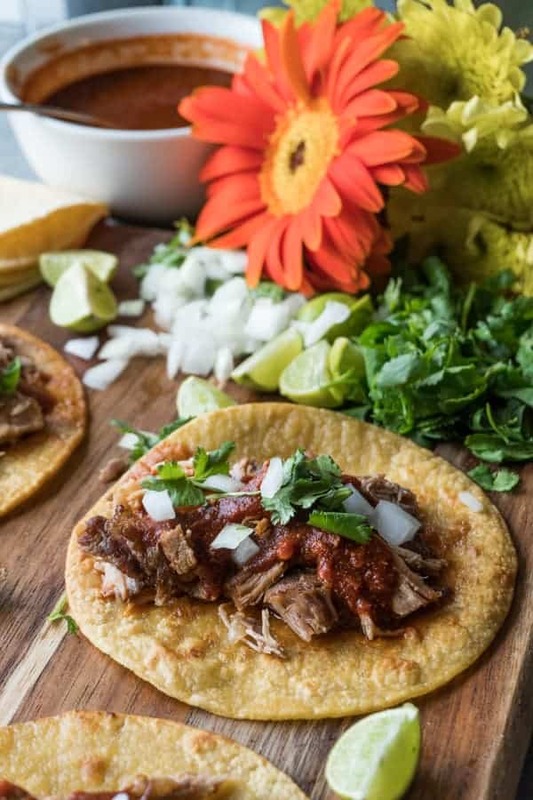 If you like this recipes check out my salsa verde, cilantro lime sauce, and my mango salsa! They are all part of the Taco Table! 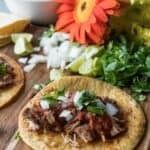 An easy and authentic red chile sauce perfect for tacos or enchiladas! 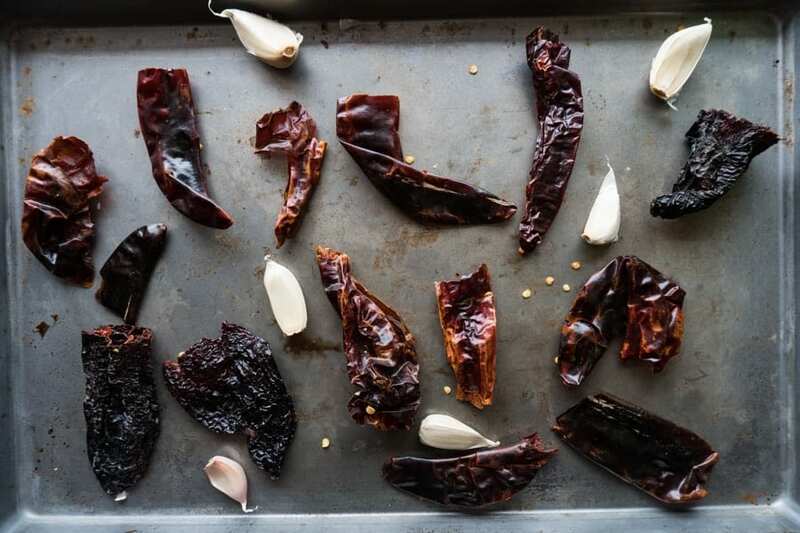 Remove stems and seeds from dried chilies and place on a baking sheet. Add the garlic to the baking sheet as well. Roast dried chilies and garlic for 2-5 minutes. The chiles will start to smell sweet. You don’t want them to burn so watch them carefully! Remove the chilies and add to a bowl of hot water, allow them to rehydrate for 30 minutes. Return the garlic to oven to continue roasting for another 10 minutes. After 30 minutes, add the chiles, garlic, cumin, salt, onion powder, and 2 ½ cups water that the chiles were soaking in, into a food processor. Process until smooth. You can use the sauce as is or strain it to get any extra pepper pieces out. Use on tacos or enchiladas! Enjoy!